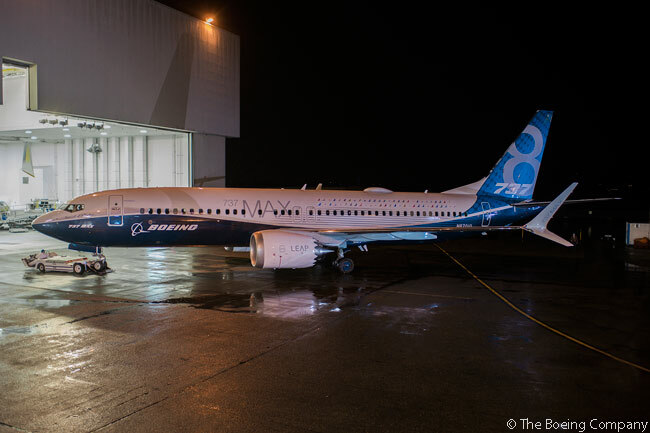 Boeing has rolled out the first completed 737 MAX jet, a 737 MAX 8. The production-complete aircraft rolled out of the Renton factory and into the paint hangar on November 30. According to Boeing, that was the precise date which the company determined when the MAX development schedule was defined more than four years ago. After the roll-out celebrations are complete, the aircraft will undergo pre-flight preparation in the factory before departing for Renton Field to continue flight test readiness. The aircraft is on track for a first flight in early 2016, according to Boeing. The second and third 737 MAX 8 flight test aircraft are currently in final assembly and the fourth (and final) in flight-test 737 MAX 8 is in sub-assembly. According to Boeing, the 737 MAX 8 program remains on track for first delivery to launch customer Southwest Airlines in the third quarter of 2017. The new single-aisle aircraft will offers 20 per cent lower fuel use than the first 737NGs, Boeing says. 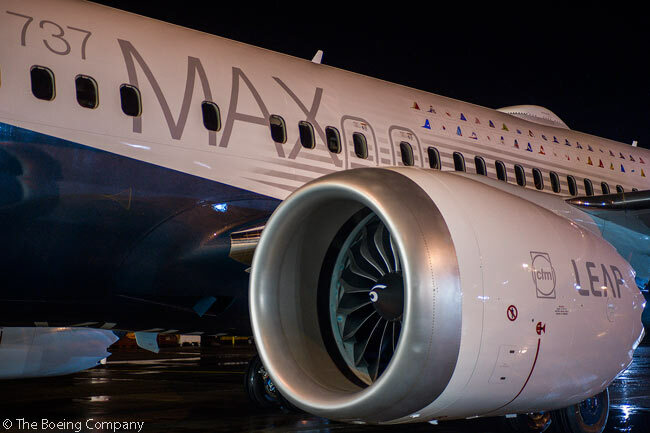 The 737 MAX is powered by CFM International LEAP-1B engines. It incorporates Boeing-designed Advanced Technology winglets and other improvements not offered in the 737NG family. The 737 MAX 8 is the first member in Boeing’s new family of single-aisle jets – the 737 MAX 7, MAX 8, MAX 200 and MAX 9 – to begin production. To date, Boeing’s 737 MAX family has won firm orders for nearly 3,000 aircraft from 60 customers worldwide.